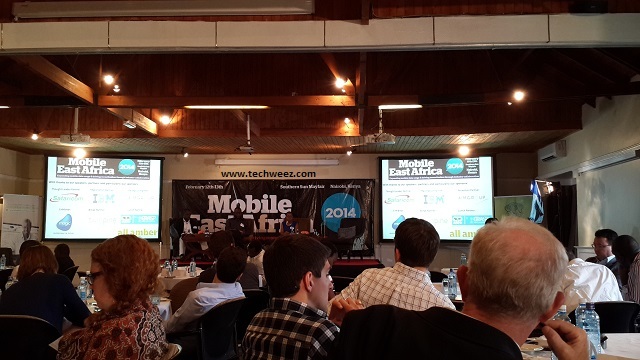 Stylized as #MEA2014, Mobile East Africa attracts stakeholders in the African mobile space. The gathering is part of circuit of conferences that includes the east, West and southern African regions. Formerly known as Mobile Web East Africa, MEA has been running for 5 years now. An interesting speaker was hosted at the event this year – Tomi Ahonen, an ex-Nokia exec who presents insightful details on the global mobile market. The mobile industry has transformed different sectors of the economy. Kenya is the perfect case example where innovation in the mobile market has spurred financial inclusion for a huge part of the a population which was formerly unbanked. As products in this space gain maturity, telecom providers stand to gain a lot. This is part of the reason for Safaricom’s formation of an innovation division. Veronica Tchoketch, the division head for innovation at Safaricom counts off the products that come from this division. Applications targeting health (Jamii Smart for maternal health), agriculture (iCow formerly targetting dairy industry, now extended for poultry farmers), education (Shupavu*291# for Primary School pupils) and every other essential part of everyday life. By partnering with startups (Eneza Education) and established companies (Huawei, Central Bank of Africa, Britam), Safaricom is transforming from a telecom provider into a solutions provider touching different parts of their customers lives. All this courtesy of mobile. Mobile phones open up different possibilities in the market. Africa, for one, is the fastest growing mobile market in the world. Leveraging this growth has given employment to a lot of the continent’s youth. The youth also form the largest market which consumes voice, data and text services offered by mobile companies on the continent. Ghafla! Is one site that identified a gap and capitalized on the mobile platform to get revenue. The gossip site attracts youths in huge numbers – in the first month of its existence, the site experienced 3000% growth in traffic and currently serves over 1 million users in the country. Embracing mobile phones has driven the Kenyan market to demand services that have not yet been conceived by independent software vendors in the country. Through the use of mobile solutions, many organisations have transformed to cashless operations. John Waibochi, Virtual City CEO, recounts the story of a farming co-operative who have moved 65% of their operations to cashless services. “They plan to be 85% cashless by the end of 2014,” says Waibochi but he admits that they were not ready to meet this demand. Virtual City credits a large part of its success to mobile solutions and the company has noted a great demand in the market for services that have not been anticipated by ISVs. Big corporations are also zeroing in on the mobile sector, BYOD solutions, infrastructure services for mobile devs, mobile app testing services have all been tabled by the likes of IBM and Oracle to maximize their revenue streams. Ignoring the mobile space has left the corporations which formerly owned the market in the role of playing catch up. Worse open source software has allowed unforeseen companies to dominate in another crucial market for computing – the cloud. No one can tag with Amazon now in this area – by being a prime mover in the space they can undercut the IBMs and Oracles. Africa however where the mobile is playing a big part has a big challenge for developers with mobile providers charging huge premiums for SMS short codes and other PRSP services. This staunches the growth of promising applications – ma3route for example. Ma3route provides commuters with information about where the traffic jams are worst in Nairobi. Such products could grow with more support to the good of the greater public. #MEA2014 is a solid initiative and it continues to facilitate productive discussions for the growth of mobile space. Kenya stands to gain a lot from such discussions as the mobile sector has become an integral part of our society and the economy as well.